There's something fishy going on in Rift and this time I'm not talking about bogling decorations. I first noticed it during the last event, when I commented on the choice of acronyms in a couple of quests. The Guardians were given a L.A.M.E. journal to record their findings and the Defiants had to use a F.A.I.L. device. It seemed a bit odd at the time but I gave Trion the benefit of the doubt, maybe it was going somewhere. It was in a Lore quest, after all, and Rift is generally pretty po-faced about its Lore. But the end of the event came and went (blink and you missed it. I did) and there we all were on Ember Island. The quests hadn't been lame and we hadn't failed. It wasn't unsubtle, ham-fisted ironic foreshadowing after all, then. Fade in the next event with its brand new currency. This didn't go unnoticed. Wilhelm spotted it right away. SynCaine took a little longer but, hey, he was on vacation. So now we have three derogatory terms from gaming slang, all not-so-subtly tagged onto your Rift character, bringing to mind yet another expression popular in gaming circles: I call shenanigans! What's going on here? Is some disgruntled dev having a pop at the paying customers? 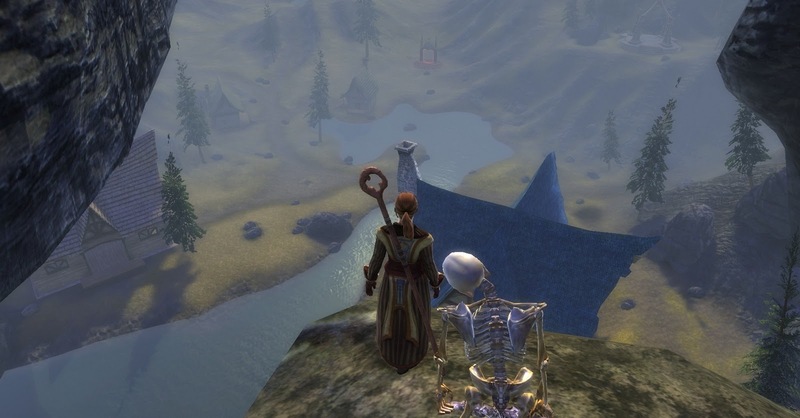 Massively recalled the days when things like that used to happen but surely such behavior would never be tolerated in a modern, go-ahead MMO like Rift. That would be the same Rift whose battered and besieged population takes regular time-outs from war to set off fireworks, hang bunting and run around dressed up as indescribably ludicrous yappy dogs. 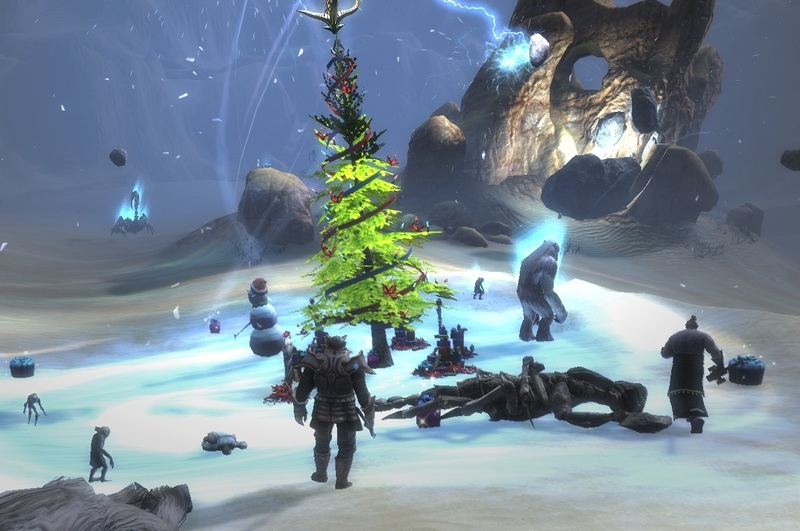 The very Rift where even the terrible engines of planar destruction come dressed with a Riftmas tree, a snowman and a scatter of perfectly-wrapped presents. It's a bit early to start talking about shark-jumping. 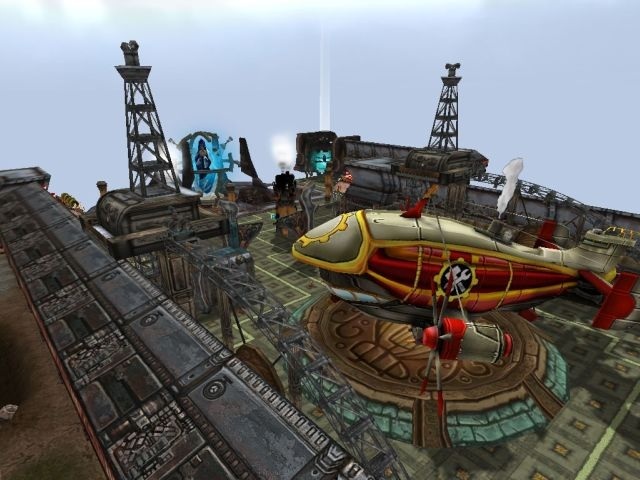 Rift has always had a lot more whimsy than its supposedly apocalyptic milieu might suggest. There does come a point, though, when you do begin to wonder if someone isn't just having a laugh. The question is, are we laughing with them or are they laughing at us? 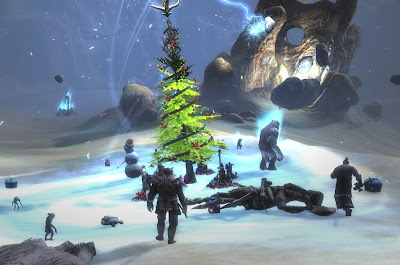 Trion really missed a trick when they named the Rift midwinter holiday Yuletide. 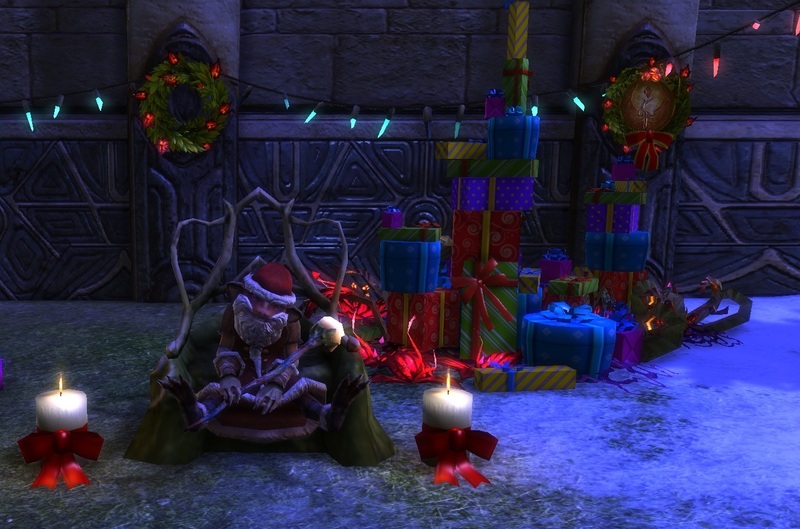 I can't believe no-one thought of Riftmas! But then, MMOs have always shied away from mentioning Christmas directly, preferring to reference its pagan precursors and commercial spin-offs. Much less controversial that way. 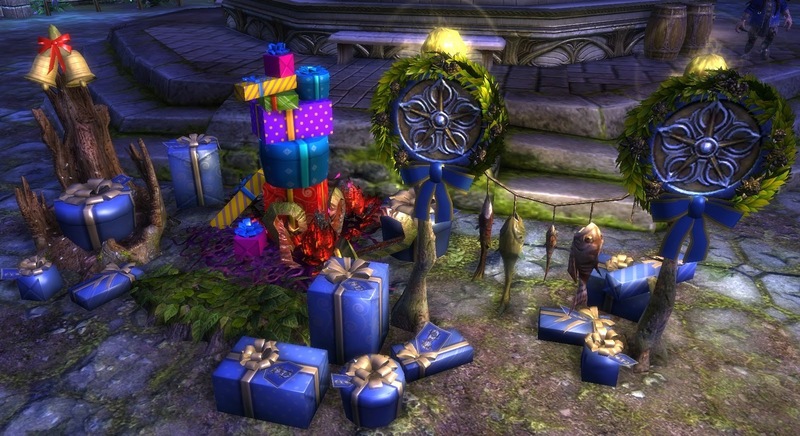 It's hard now to recall the times when an MMO holiday celebration came as a real novelty. There are so many these days that some games even give you an in-game calendar to keep track of them all. Occasionally the celebrations belong entirely to the imaginary world in which they take place or mark an anniversary in the life of the game but mostly they are lightly-disguised analogues of real-world events. 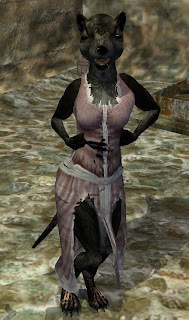 Errolisi Marr, Norrath's Goddess of Love, holds her Erollisi Day celebrations right around the time we're all opening our Valentine's cards for example, and turkeys tremble in Azeroth when the Pilgrim's Bounty holiday rolls around just as WoW players sit down to their Thanksgiving meal. And so to Telara. A society riven by internecine conflict, locked in existential struggle, trapped in a world where at any moment the sky may spew out a roiling, thrashing rift filled with extra-planar nightmares bent on nothing less than the complete and utter destruction of life itself. Time to break out the fairy lights! In fact there does seem to be some shaky internal logic. Let's forget for a moment that Telara appears to be a world without seasons, which calls the very concept of a Midwinter festival into question. Let's forget that the entire continent is overrun by psychotic dragon cultists and Cthonic hordes. Really, let's forget all that. If the people living there can forget it, then who are we to argue? As far as I can work out, back in the summer during Rift's first Big Event, one of the six dragons trying to invade Telara was killed. I haven't done the Greenscale's Blight raid and there is much dispute over whether the Greenscale in question is the "actual" dragon or an avatar thereof. All the usual MMO nonsense. The upshot, though, is that the Fae who came under his control are now free. No CRB checks in Telara, it seems. And apparently there's nothing a free Bogling likes better than to slip on the old red felt jacket and bobble hat and make like a Department Store Santa. 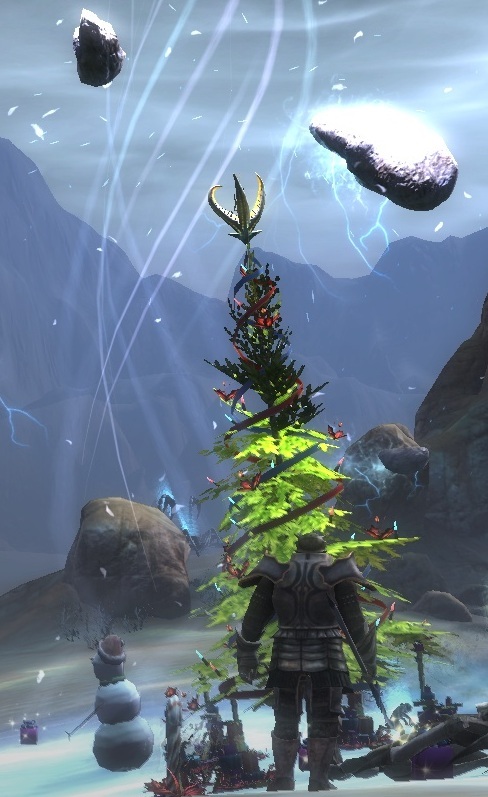 Perhaps the most surprising thing about Rift's Yuletide festival is how very closely it follows the established Rift Event pattern. It's exactly the same grab-bag of minor lore quests, non-combat dailies and special rifts that we've come to expect. I'm not even going to go through them in any detail. They are pretty good if you like that sort of thing, which as it happens I do. What I did really enjoy was the level of detail. I might find the idea of draping decorations all over a city that's supposed to fighting for its very right to exist pretty ridiculous. (Okay, there's really no need for the "might" in that last sentence). Nevertheless, if you 're going to decorate you may as well do it in style and Trion have thrown style on by the bucketful. I loved the strings of lights that really flash on and off like proper Christmas lights. I loved the Bogling belief that no decorating theme is complete without fish. The trees and the piles of presents are pretty much pitch-perfect. The clouds that hover above the heads of the humbugging Yuletide deniers, literally raining on their personal parade, are a touch of genius. And yet something isn't right. But that will have to wait for next time. 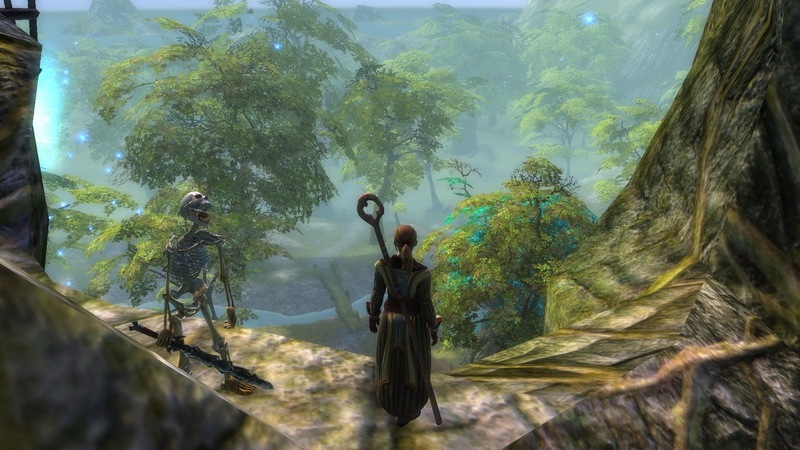 One nice side-effect of my recent post on Guild Wars 2 is that it got me playing Guild Wars again. I didn't have any GW2 screenshots what with the game not actually existing yet and all, so rather than just stealing some screenies off the interwebs I thought I'd use some of my old Guild Wars shots instead. 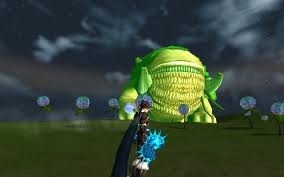 Only it turns out I don't have any old Guild Wars screenshots. I thought I would have taken some when I briefly came back to the game a couple of years ago, but apparently I didn't. The last time I played before that was at launch, over six years and three computer lifetimes ago. No screenshots survive. You got planning permission for that? So I patched up and took some new ones. 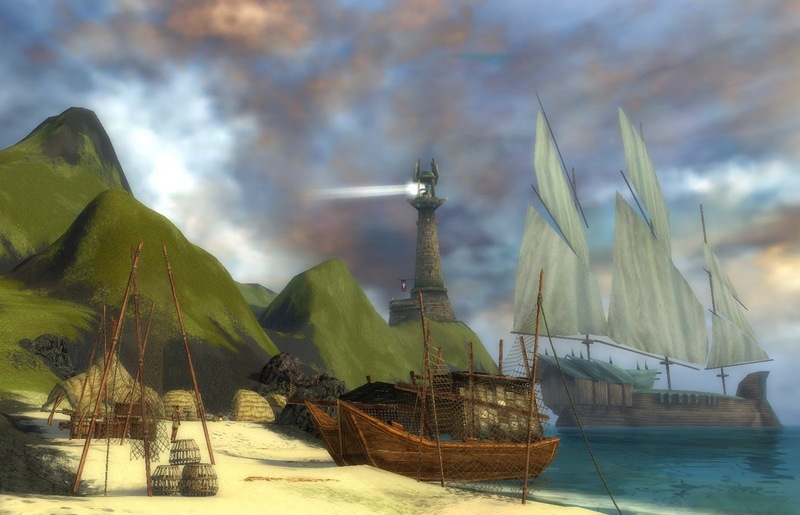 Ye gods, but Guild Wars has aged well ! It looks amazing. It still has that weird, flat quality it always had, but the detail, the color, the vibrancy are all stunning. My appetite was whetted. Re-whetted. Re-re-whetted. When I played Guild Wars the first time round I finished the main campaign and some of the post-20 content in about six weeks. Mrs Bhagpuss carried on and finished pretty much all of it, which I think took her a couple of weeks more. Then we both put it away for nearly five years until I spotted The Complete Collection on Amazon for very cheap indeed. I am so playing one of these in GW2. Whatever he is. In retrospect, buying all the expansions at once was a mistake. 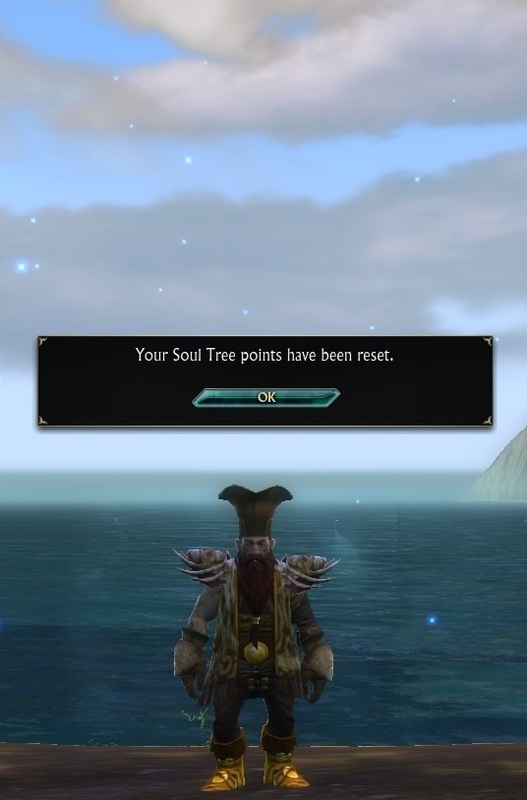 I know now how people feel when they come back to EQ2 for the first time in years. There can be just so much content, so many options, that it becomes almost intimidating. (It's perhaps worth noting that when I began playing WoW for the first time five years after launch, I didn't notice anything like that. The whole thing seemed very manageable. If anything I thought Azeroth was on the small side for an MMO. Another of the many ways Blizzard is able to smoothe the path for potential customers in a way that seems to escape other MMO Houses, I guess). Rather than continue with my old characters, I made a new account and started over. That might have been a mistake too. 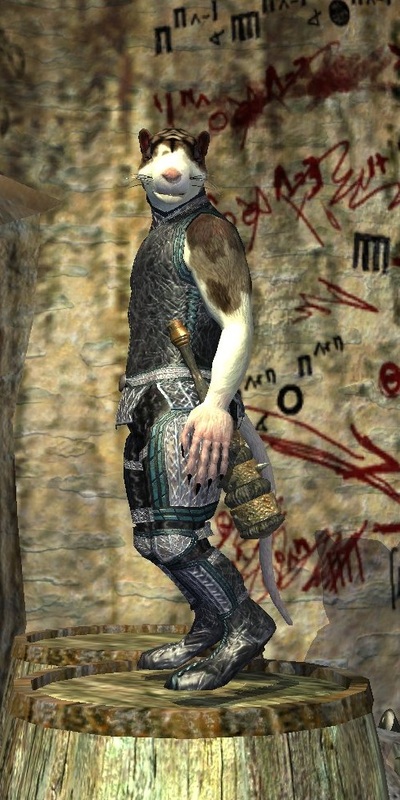 My first character was one of those Dervish fellows. That was definitely a mistake and after about eight levels I re-rolled as a ranger. 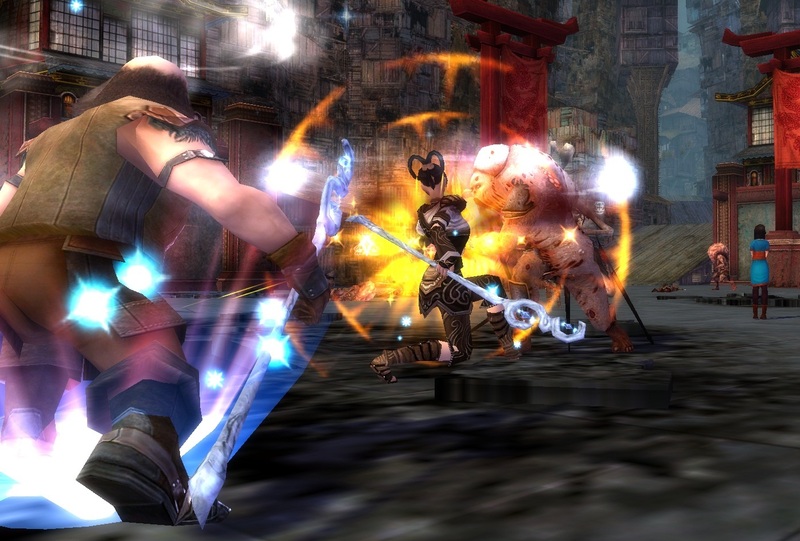 Which brings me, long-windily, to what I was going to talk about: the pace of combat in Guild Wars. It's so flaming fast! I'd forgotten just how frenetic and chaotic it is. Back in 2005, coming from Everquest and Dark Age of Camelot, Guild Wars combat seemed like a revelatory, hyper-saturated, amphetamine rush. 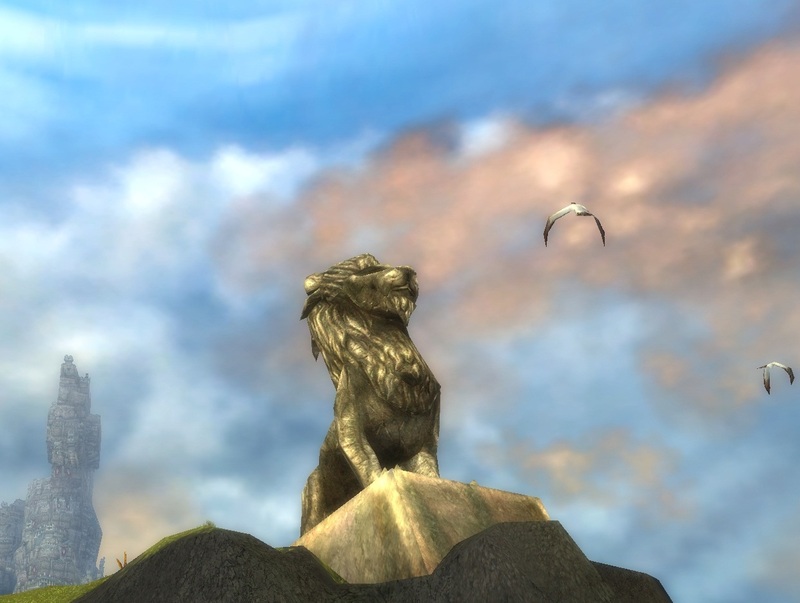 It took my breath away and for a month I thought all MMOs should be like it. Then the rush wore off. Anyone need any help? Thought not. Now, six years on, what I need is a slomo button. It's just too manic! And way, way too busy. Every time I enter an Explorable Area I feel like I'm in a raid. There's my ranger and her pet (who dies in about 5 seconds), several Heroes who appear to have attached themselves to me though I can't now recall how or why, a couple or three Henchman that I've hired because, well, you can never have too many healers and a bunch of NPC characters who just seem to tag along for the ride. It would be confusing enough if I had to control that lot, but they all seem to have their own agendas. As soon as an enemy pokes his head around a corner the whole pack of them are off like skinheads out of a bus station, chasing anything that moves. I generally die two or three times before I have the least idea what's going on. Sometimes it's only after they've killed everyone and I'm picking up the odd meagre scrap of loot they've left me after they've all helped themselves that I spot from our confidence debuff that I must have died yet again and been rezzed so fast I didn't even notice. Don't mind me. I'll just lie here. Even when they aren't all causing mayhem I'm not much more than a bemused bystander. They all bicker and banter and make in-jokes that I don't get. They reminisce and gossip about battles I don't recall and people I don't remember. It's disturbingly like being a child on a family outing, where all the conversation goes over your head but that's fine because no-one listens to anything you have to say anyway even if you had anything to say, which you don't. It's not that I'm not enjoying myself. I just wish the same things could happen at half the speed. Or a quarter. I don't want the BioWare option that let's you literally stop time between each and every incremental action so that you can micromanage entire battles. That's equally annoying in it's own way. Nor am I talking about turn-based gameplay. I just want Guild Wars but slower. Anyone know an MMO that does that? 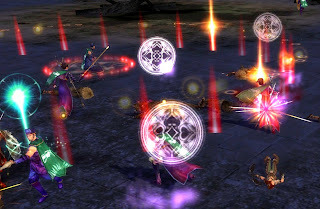 We will be conducting small closed alpha and beta tests in 2011. 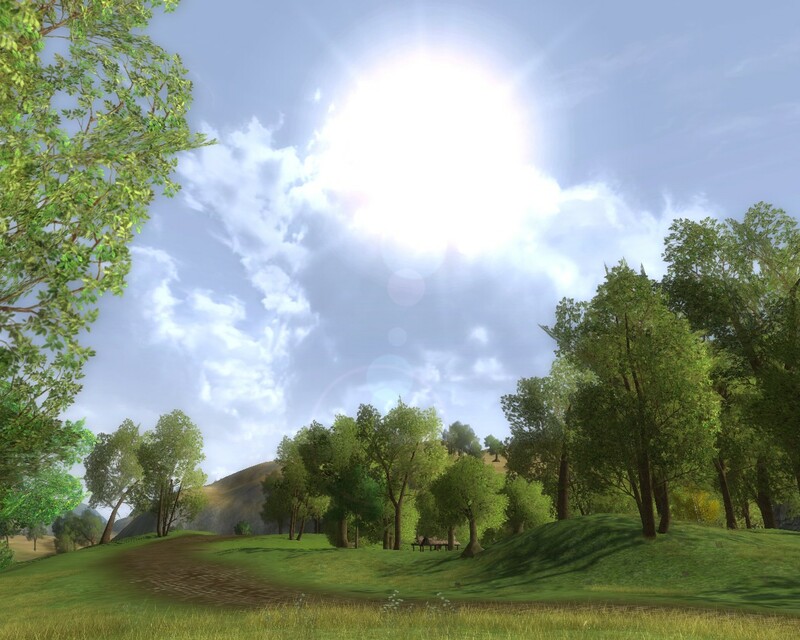 The feedback from these tests will determine when we will do public beta tests and ship the game. Well that's confusing. Does it mean until now, despite the many playable demos at shows, there hasn't even been an internal "friends and family" Alpha server running? Just a purely technical testbed server? And how are they going to fit both alpha and beta tests into the next six weeks? What did pride go before again? Maybe it's just badly written. Maybe when they say "conducting" they mean "beginning" and when they say "public beta tests" they mean "open beta tests". That'd give us a closed alpha followed by closed beta beginning in 2011 and continuing into 2012, followed by an open beta nearer to shipping. Then the FAQ would make more sense. They also emphasize that there is no release date for the game. It will ship "when it's finished" and not before. There's currently no sign-up for any kind of beta. I find it deeply disappointing. I was really expecting GW2 to ship in Spring 2012 after a beta lasting some three months or so. I am absolutely not in the "done when it's done" camp. Few things are ever "done" and I would far rather have something when it's "good" than wait for some imaginary state of perfection that can never be achieved. Hmm... We might need a bigger fire. 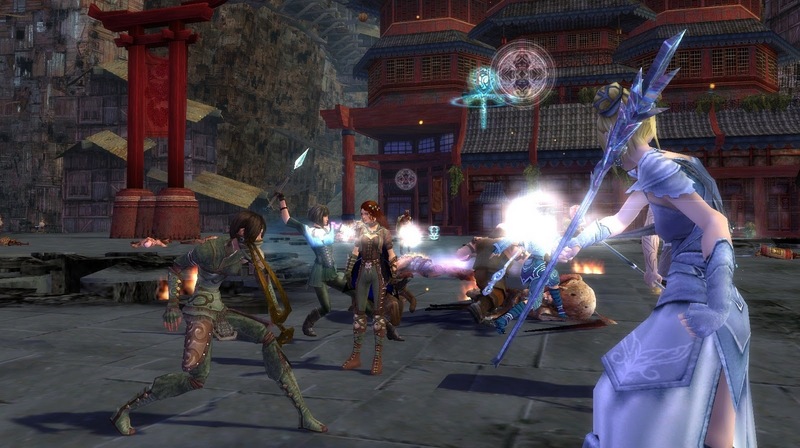 It's particularly pointless when it comes to MMOs. Every MMO I've ever played, no matter how "finished" it was when it went gold, had a sizable patch to download on launch day. Which was then followed by a literally endless series of more patches that fundamentally changed everything from minor details to entire design concepts. Take Rift, for example. 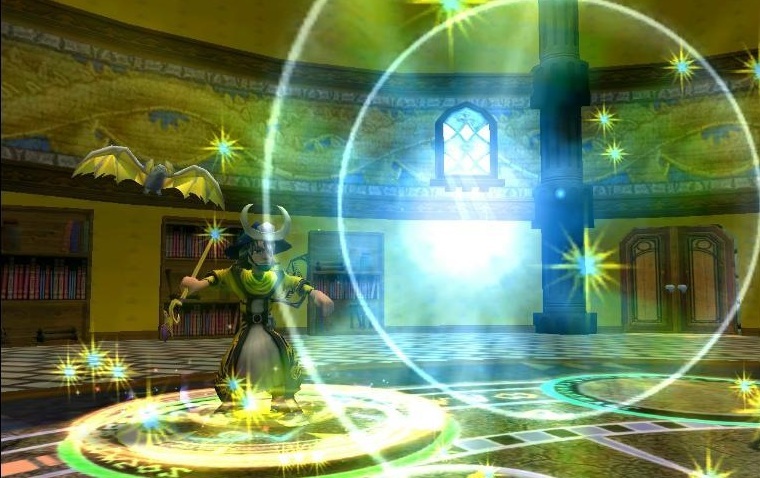 Apart from the single issue of not having enough servers to meet the unexpectedly huge demand, a problem most MMO houses would be more than happy to have, Rift was generally agreed to have been "ready". So did it just sit there, smug, satisfied and perfect, while we admired it? Like hell it did. Do you see me laughing? Well, do you? Rift got tweaked and twisted and warped and changed. The whole competitive element was stripped out of rifting in the first month. The PvP system was changed radically, then changed again. Souls were revised almost routinely. I believe my pyromancer has had his Soul Points refunded four times in six months. When Star Wars: the Old Republic launches next month, will it be "finished"? No it won't. The NDA is down now and it's clear that even beta testers who are entirely satisfied that the game is ready don't believe it's "finished". Everyone understands it's a work-in-progress. 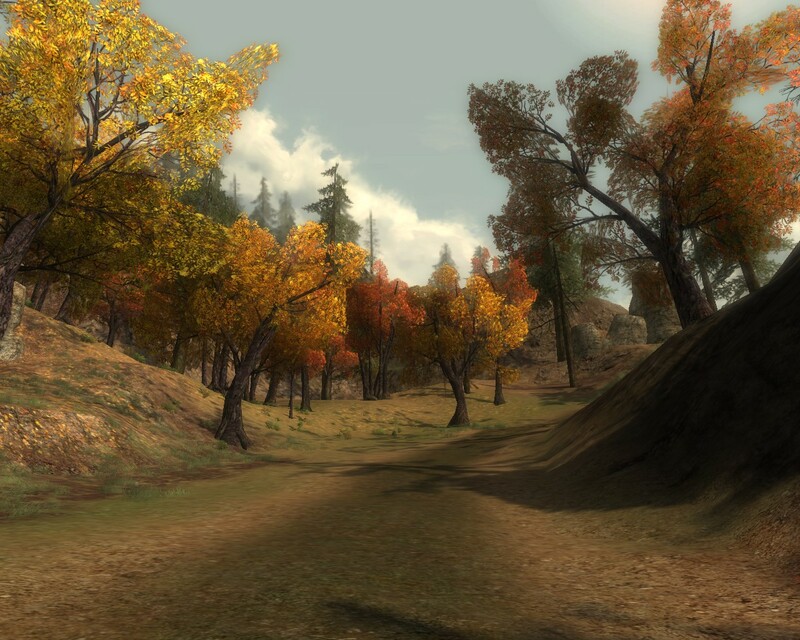 If it's a half-decent MMO it will never be anything less. This is just what MMOs are. Infinitely mutable. They are never "finished". 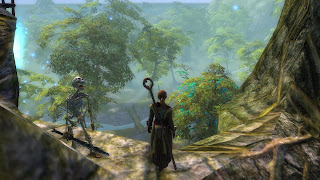 If Guild Wars 2 has to be "finished" before it launches then it will never launch. Although when they do eventually have to push it out the door and let it take its chances, it's going to have to be perfect because "At ArenaNet, we have one mission: to make Guild Wars 2 the best MMORPG ever". The Greeks had a word for that. Ah well. Good things come to those who wait, or so they say. We can but hope. Okay, this is getting a little recursive, but SynCaine linked something Loque Nohak said in a comment on Tobold's blog the other day that got me thinking. The relevant part is "coming from WoW it seems I’ve been playing a videogame for small children". It tied in with a conversation I had with a friend recently about the movie version of "We've Got To Talk About Kevin". My friend had been to see it and didn't rate it all that highly. I was saying that I'd heard good things about it, but I wasn't really interested in going to see it because I feel like I'm about done with being "challenged" by entertainment. Bring it on, bad guy! From my early teens right through to my early forties I probably wouldn't have said that, or felt it. I'd have been much more likely to search out amusements that stretched me at least a little, that made me think, even shook me up some. Even if I hadn't wanted the experience I'd at least have felt it would be good for me. I didn't really notice when I stopped feeling that way. Maybe it happened when I started playing Everquest . Maybe it was already happening and that's why I connected so strongly with MMOs when I found them. Either way, I think it must have happened around about the same time, a dozen or so years ago. In many ways playing MMOs is an unchallenging activity. It mostly involves you sitting in a chair and pressing some buttons. 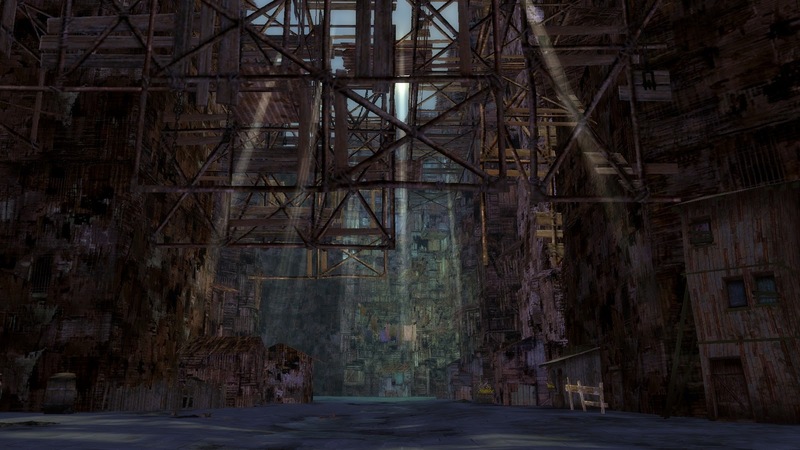 You do have to be literate; MMOs use an enormous amount of text. But playing MMOs is certainly something a fairly young child can do. If MMOs had been around when I was a child, though, I'm not at all sure I would have been interested. I was a happy child, by and large. Much of my childhood consisted of roaming around the countryside, alone or with my cousin, often with a gang of kids. We were always exploring. We found small caves and ruined buildings, waded across rivers to islands, spent countless hours in the woods, climbing trees and building dens. We hunted (for animals to catch alive and bring home and try to keep as pets). We had fights and played games and made friends and enemies. 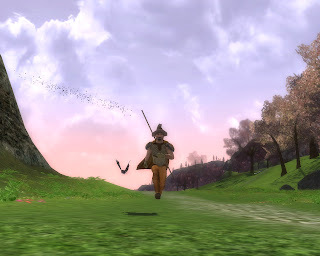 I grew up not very far from the parts of England Tolkien had in mind when he thought up the Shire and my favorite parts of most MMOs are the little starting towns and villages and the countryside around them. Those places tend to look a lot like where I grew up and my characters' lives in MMOs sometimes do seem remarkably similar to my life as a child. So, calling an MMO "a videogame for small children" doesn't seem like that much of a criticism to me. As I get older I find that I appreciate more and more those things that bring back to me what life was like when I was very young. I've been an adult a long time and it's not really all that when you get down to it, is it? On balance I reckon I could have done with being a child for longer. MMOs help with that. I dropped by Middle Earth last night. I have a new 24" monitor and several other improvements to my PC so I was doing the rounds to see how all the MMOs I know look with most of the sparkles on. 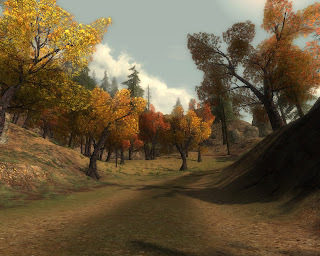 I've always been partial to the look of LotRO. The aesthetic is clear and consistent. The towns look and feel like towns. The countryside has a placeness about it. The scenery goes from cosy farmland to spectacular wilderness without any jarring transitions at the borders. And great as Turbine's take on Middle Earth looks in game it looks even better in screenshots. I reckon it's probably safe to say that whoever did the worldmaking didn't have much to do with the log-in screens. The trip from desktop to gameworld is one of the ugliest I've ever taken. Garish, messy, muddled and loud, it's like someone shouting in your eyes. Maybe the same team that thought those screens made for a good introduction to the game also worked on the UI, because that's dreadful too. Oh, it functions well enough and after a while you get used to its many idiosyncrasies. No, it's what it looks like that's so hard to take. As I was saying, I have a new monitor. It seems pretty big to me. Perhaps naively I thought that might make it easier to see what I'm looking at. Well, not in my packs it doesn't. The icons in there make postage stamps look like bedsheets. Stuffed with tiny little green, orange and blue squares my bags look like Mondrian's coloring-in book. Of course, it's not just the inventory that looks like it was designed for pixies. All the hotbars use the same system. 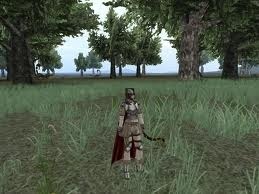 And in LotRO I need a lot of hotbars because there seem to be about a million spells, skills, attacks and what-have-you. It might not matter so much if the UI was scaleable. It would still be as nasty as a troll's armpit but at least I could see what I had without squinting. I believe there is now some arcane out-of-game means of skinning the UI, but is it really too much to ask just to be able to grab the corner of a frame and pull? One I summoned! Just one! 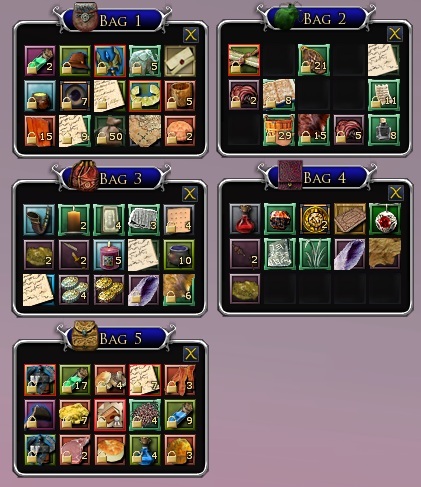 Indeed each time I log in all I end up doing is riding around admiring the view because whenever I think of doing something practical I open my bags or glance at my hotbars and lose the will to go on. I made it as far as the bank in Bree last night and that's an experience I won't be repeating in a hurry! So, I'd quite like to play LotRO again. I enjoyed a lot about it while I was there the last time and I know there's plenty more to see. I'd just made it to that snowy part when I stopped playing regularly and I love snow zones. I'm just not sure I love them enough to learn to deal with that UI a second time. Cast your mind back 500 years. Seven if you prefer. Either way you wouldn't have found any three-foot tall rats scurrying through the streets of Freeport. No overgrown rodent would have tried to draw you into a plot to poison her sister or discredit a commercial rival. It was safe for a gnome to walk the streets in full confidence that he'd never have to look anyone straight in the eye, much less turn a corner to find his path blocked by a raddled rodent grinding her verminous hips beneath a tattered ballgown and giving him the old come hither. 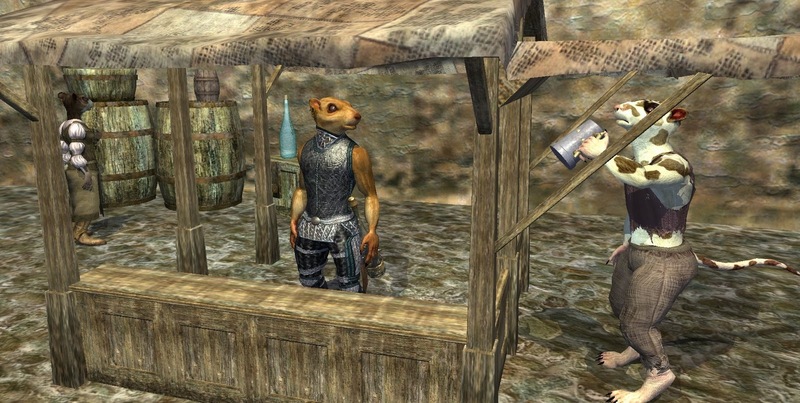 When EQ2 was in development and even while it was still in closed beta, ratongas were under heavy suspicion. 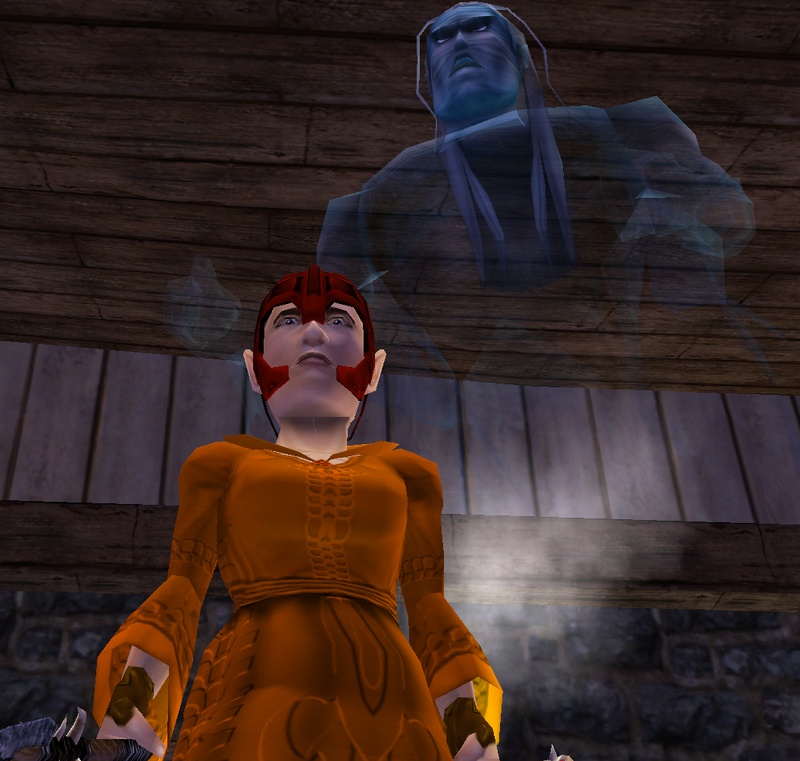 On the ever-inflammatory Everquest forums opinion ran strongly against their very existence. We never asked for more rats, they complained. Why, we're hardly using the ones we've got! Even let's say we did need more rats, why would we want these new-fangled "ratongas"? What's wrong with the good old Chetari, then? Eh? EH!? It's fair to say that public opinion was divided. About 80% against if my memory serves me right. Still, ratongas always had their supporters. All-ratonga guilds were being lined up. Cheese-based names were being reserved. 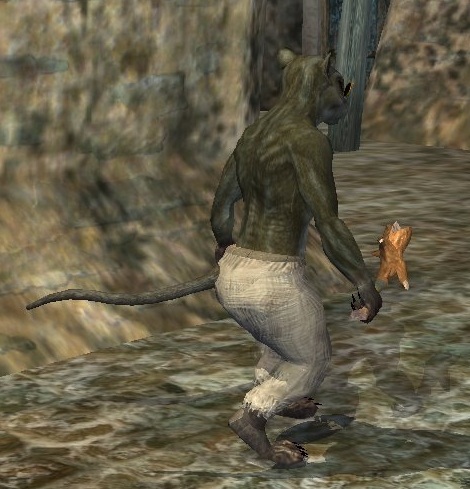 And when the time came, after all the Shattering and Rending that split the earth deep enough to let in the dim Freeport light, up came the ratongas to the Norrathian equivalent of a golf clap. As the years passed, though, it seemed that almost all that bad feeling just melted away. Ratongas simply fitted. 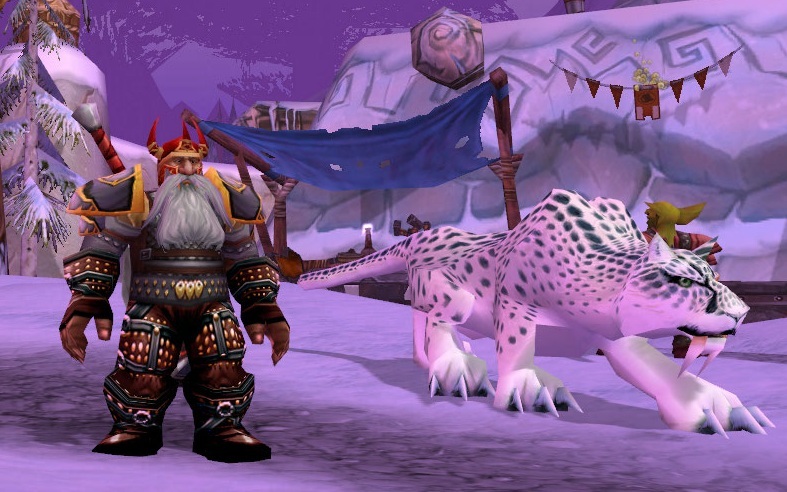 The snide remarks and open criticism so familiar to players of ratongas over the first few months gave way to the kind of genial racial banter gnomes and dwarves have always found so welcoming. With their extraneous esses and their skittering gait ratongas became emblematic of the new Freeport. Devious, disturbing, unsettling yet always that strange, dangerous promise of intrigue. Temple Street was my favorite village from the start. It had character and characters. Chef Schmenko. waving his cleaver, chasing cats around the central square. Arms Dealer Schinka with her deals you couldn't afford to miss. Vlepo and Vleko, locked in their eternal vendetta with the Togglesmeets. Not to mention the terrifying Spezi. Please, not to mention. 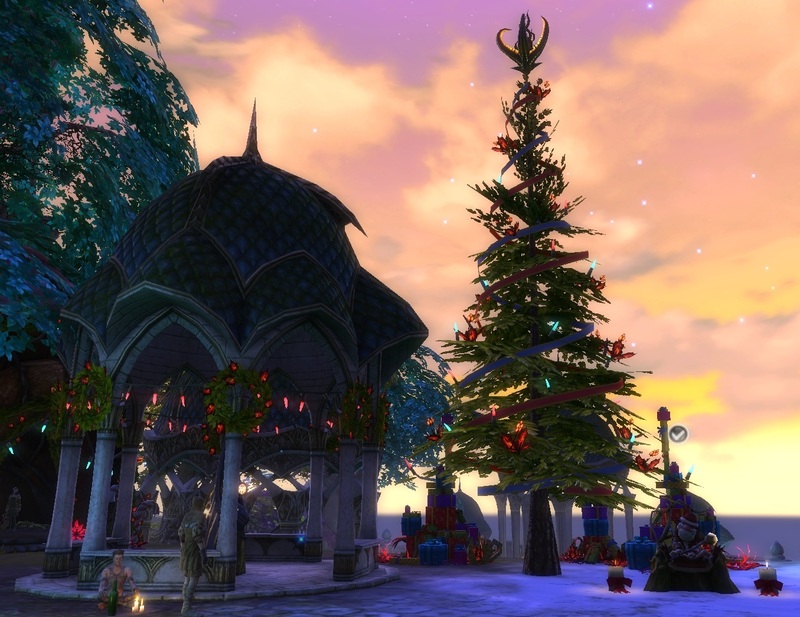 All the original EQ2 villages were vignettes. Short stories. Miniatures. Meticulously detailed pocket-size zones filled with incident and intrigue. Temple Street had the trump card, though. Ratongas and gnomes. In Qeynos not only were there no ratongas at all, but the gnomes had to share their little patch with halflings. Halflings, I ask you! They do say that nothing good lasts long, and it was a sad day when the ill-advised Simplification cleared out most of the village quests, sweeping away back-story and depth along with them. Soon it's going to happen again only this time round Temple Street will turn into an instanced dungeon. Let's hope it brings a storyline worthy of its history and preserves both the look and feel of a place that's been home to two of the shortest, oddest races on Norrath. And me. In theory I play a lot of MMOs. I have nearly two dozen on my desktop and a few more tucked away out of sight. I say in theory because as you may have noticed there are only so many hours in the day and much though I'd like to spend all of those hours playing games there's working and sleeping and eating and what-all to fit in somewhere. I have my focus games, usually just two or three at most. Currently that would be EQ2X, Rift and Allods. Then I have my background games, where I have characters I'm still interested in developing. 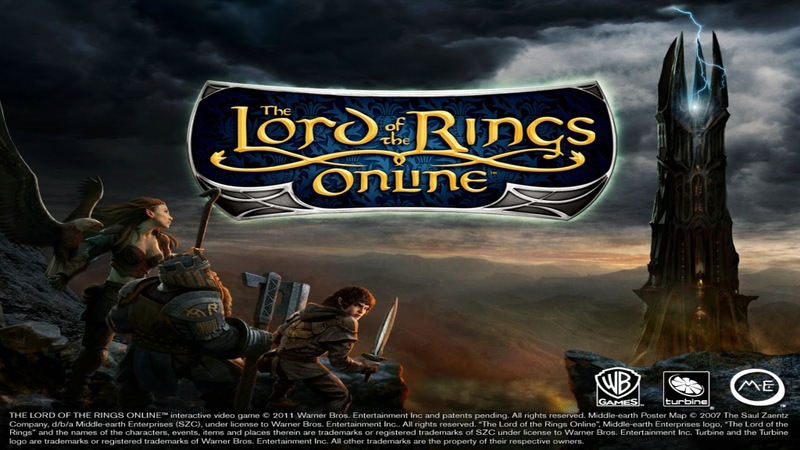 LotRO, Fallen Earth, Everquest, Vanguard or Ryzom all fit in there. I try to pop in every few days for at least a short session here or there just to keep the plates spinning. No boars? That can't be right. Beyond that comes a whole raft of titles that I'm either pretty much done with, never really got started on or just haven't gotten around to yet. And right at the end of the list is a small group of MMOs that I only ever play last thing at night, when I finish a session on my focus game but don't quite feel ready to stop altogether. Eden Eternal and Dragon Nest are my current go-to late-nighters but last night I got the urge to pop into NeoSteam, a game I've played on and off for years. Apparently it's been quite a while since I last got the urge because it turns out NeoSteam isn't there any more. The server closed down last May. I don't remember reading anything about that on Massively. It was the third time it's happened to me. 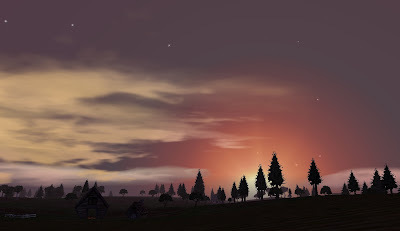 Two other MMOs I played sporadically decided to shut their doors while I had my back turned: Rubies of Eventide and Ferentus. They and NeoSteam were all MMOs I had a great deal of time for. Metaphorically. Unfortunately. Rubies is the one I miss the most. 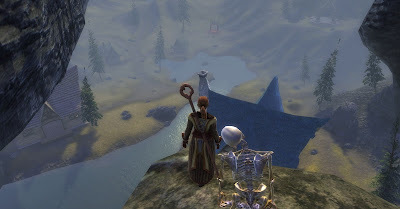 It was a first-class MMO with tons of potential and I did put in quite a few hours there over the years. Mrs Bhagpuss and I played it regularly for a while. I'd play it still if I could. We both played Ferentus for quite a time too and although it never came out of beta it was more finished than a lot of games I've payed to play. NeoSteam was the oddest of the three. It was nominally Steampunk in setting but it seemed more like a dreamscape. My character was a giant tiger who carried a hammer bigger than he was. Something that looked like a flying turnip used to follow him around offering advice. I never saw much of the world. Mostly I ran around enjoying the music and marveling at all the bizarre creatures. I think I only got to level 10 but I wasn't finished yet, dammit!. The most galling thing of all is that NeoSteam is still online in the U.S.A. where by all accounts it has been much better managed and developed by Atlus. The rights for Europe including the U.K. went to Gamigo, who never seemed to do anything with it at all. I can't remember ever having to patch when I logged in and nothing ever seemed to change. So, NeoSteam joins the list of lost MMOs. 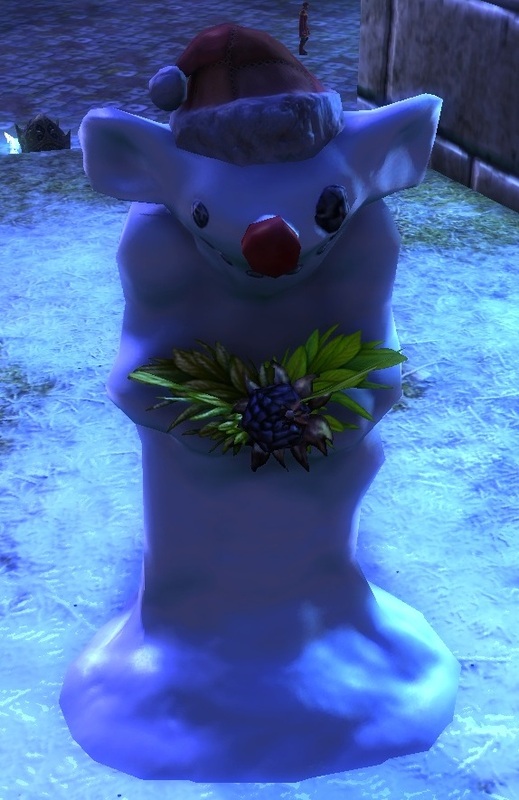 It also joins the shorter but infinitely more annoying list of MMOs lost specifically to me due to I.P. blocking or regionalization. EQOA keeps it company there. Will I learn the lesson this time and remember to log into the games I like more often? Probably not. I know the Very Thing to go here. And no, they're never coming back. 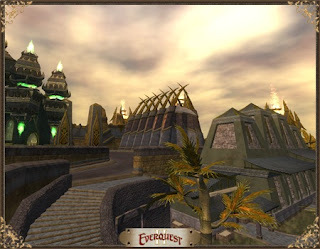 According to Smokejumper's somewhat garbled interview, helpfully summarized by Feldon at EQ2Wire, both the expansion that brings back Beastlords and the Game Update that ruins revamps Freeport will go to closed Beta (from Friends and Family Beta presumably) on Tuesday November 8th. I'm as excited about one as I'm nervous about the other. 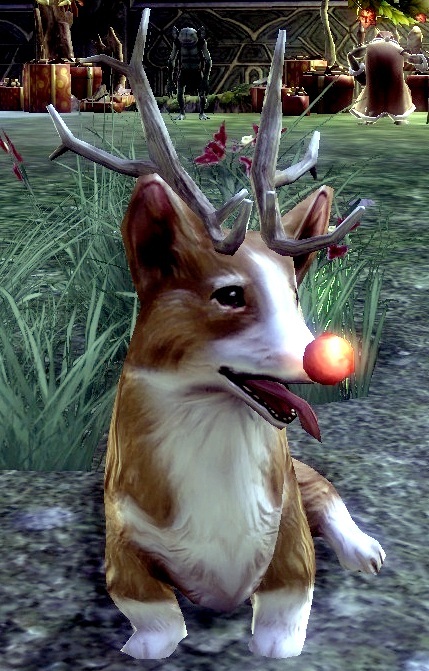 I have an affinity for pet classes that long pre-dates MMOs. 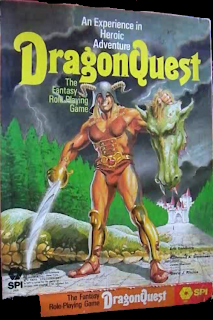 The first time I ran into the idea was back in the very early '80s in a tabletop RPG called Dragonquest, a quirky ruleset that offered an unusual choice of career paths. I didn't much fancy Military Scientist, Astrologer or Courtesan but I liked the sound of Beast Master. It reminded me of Daniel P Mannix with attitude (if Mannix didn't already have more than enough attitude to be going on with). Oh sorry! Was he yours? I loved the catching and taming part but almost immediately I ran into a fundamental design flaw. Should have spotted it earlier, really, given that it was quite literally part of the Beast Master's job description: "A Beast Master will, in almost all cases, become very fond of animals". All too true as I found out when I was repeatedly required to bury the dead after ordering my furry friends to fight monsters much bigger and tougher than they were. Several dead pets into our group's campaign it became apparent that a Beast Master who was a) rapidly running out of beasts that took months to train and b) increasingly reluctant to allow any of the few he had left to take any risks whatsoever in case "something bad" happened to them, was going to be of limited use outside of a petting zoo. I re-rolled as something less emo and that was about the last I thought of pet classes until I stepped into Norrath some fifteen years later. 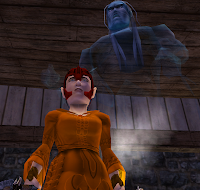 For a good while "pet class" in Everquest meant someone who raised the dead or animated rocks. This had two big advantages over the Beast Master, namely that skeletons and earth elementals cannot strictly be called "cuddly" and that if they "die" you just raise or animate a new one. Nothing to bury, nothing to mourn. Shamans did have a pet that looked like a wolf, but it turned out to be a spirit. It looked cuddly but your hand would just go right through. You couldn't rest a pint on his back like I used to do with the landlord's labrador in a pub where I used to drink. We were close, but we weren't quite there. We'd dealt with the downside but something was still missing. Then came the beastlord. 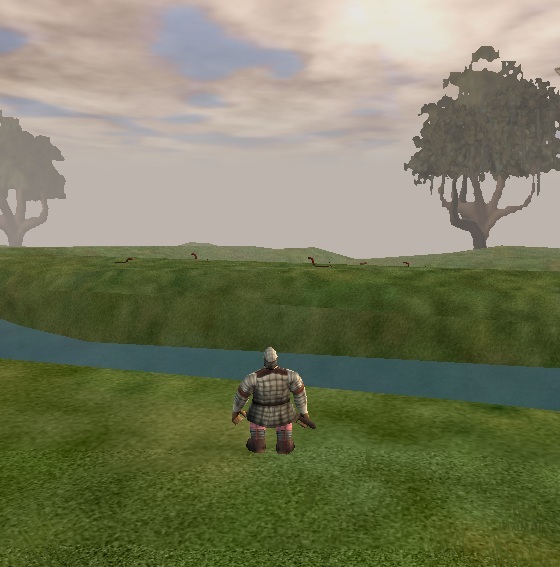 I arrived late on Luclin, Norrath's doomed moon. 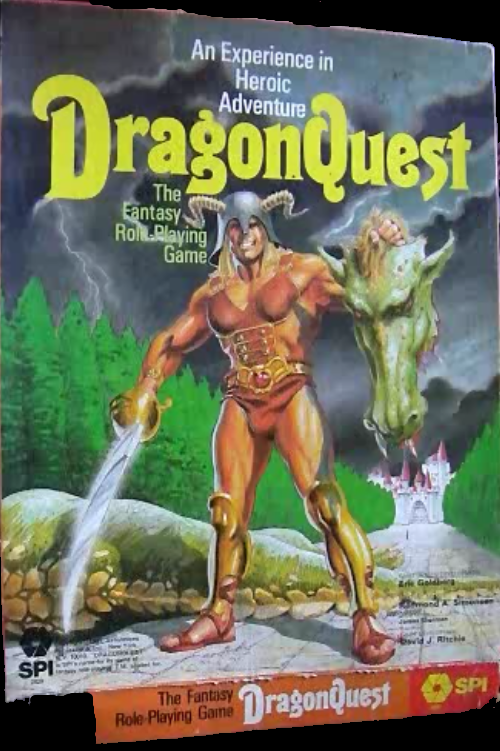 We were off playing something else at the time, Dark Age of Camelot probably, so I missed the birth of the Beastlord. When we returned, though, I made a Vah Shir Beastlord immediately. 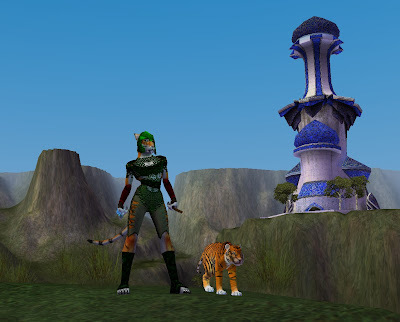 A tiger-girl with a tiger pet? Come on! I took to the class right away. It had all the things I'd always wanted in a pet class: a really powerful pet that would fight beside me, not a weak creature I'd need to protect nor a living wall I'd hide behind. 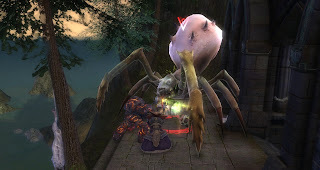 My warder and I stood hip to shoulder as we fought, falling back or surging forward to support and sustain each other as Shissars hissed or Akhevans made that weird chittering noise they make before they fell to our claws. What have I told you about claws in town? For many years Beastlord became the class that dare not say its name. They all died on Luclin. Every last one. They're never coming back. Except they are. Next Tuesday in beta and, with luck and a following wind, by the end of the month for the rest of us. There'll probably be five thousand new beastlords in Freeport on the first day and I'll be one of them. And I'll be keeping a diary. Whatever, the old quests have gone and there are just two new ones. One continues the rebuilding of the travel stones storyline, which I've found quite interesting so far. The other is a daily. As usual, I did both sides and the Defiant version is quicker and easier, for the same reasons as before. The storyline quest is really very good. It has the merit of being both fast and fun. You're tasked with taking measurements that will help in getting the stones up and working again. Defiants step into a device, Guardians pray at an altar (no stereotyping then...) but either way there's a short blurry dematerialisation and you reappear somewhere very high up indeed. There seem to be a lot of possible destinations. I've done it with four Defiants and two Guardians so far, which ought to mean thirty trips, but you only get a few seconds each time before the magic yanks you back and I spent so much time trying to take screenshots and not recording the information I was supposed to that I probably made 40 journeys in total. I'd guess there must be easily twice as many possible locations on each side as you need to complete the quest. Spiders! Why is it always spiders? Some are places I've managed to climb to before. Others gave discovery experience, which I guess means you could climb to them. Some, however, appear to be utterly inaccessible by any other means, so this may well be your only chance for a photo opportunity. That's if you don't get eaten first. The detail that's been put into this quest is emblematic of something I've always said about Rift, that it's an explorer's dream. This is a flavor quest that will only exist for a few days yet not only does it take you to a wide variety of interesting locations that you might never otherwise visit, but it does so with humor, wit and elan. I particularly liked the Defiant NPC that my guardian found already planting his own tracking device at one location. The whole thing reminded me a little of the bit in the bible, where Satan takes Jesus to the pinnacle of the temple and then to a high mountain and tries to tempt him and I did wonder whether something similar might be going on. The whole thing seems a bit suspicious. 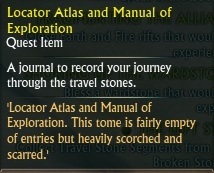 The Guardian quest asks you to use a Locator Atlas and Manual of Exploration to record your findings, while on the Defiant side you have to plant the Fast Assembling and Initiating Locator Device. These are thereafter referred to as the L.A.M.E. Journal and the F.A.I.L. Device. Might be a clue there. It does have to be said that I like a pun. Not everyone does, but I do. I enjoyed those acronyms, but I particularly relished the quest names. The storyline quest is called "The Right Stuff?" because it questions your ability to deal with the dangers of repeatedly porting to unknown, perilous destinations. 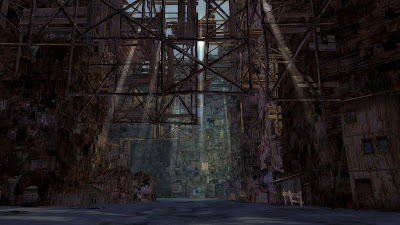 The daily, which asks you to go around picking up old bits of abandoned Travel Stones lying scattered around and about? That's called "The Left Stuff". Well, it made me laugh. And I'm very much looking forward to seeing where all this goes next. Is that what you want? Is it? We didn't get any trick-or-treaters for Halloween but I still got a nasty surprise. It just came a day late. I never entirely recovered from the last revamp of Freeport. 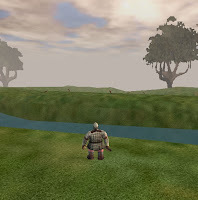 The one in the original game that came free alongside Prophecy of Ro, one of Everquest's least-memorable expansions. You probably don't recall the expansion even if you were playing EQ back than, but no-one could forget that revamp. It was the one that turned a charming, idiosyncratic, human-sized city into a soulless impersonal maze. Okay the harbor was nice, but that's no excuse. 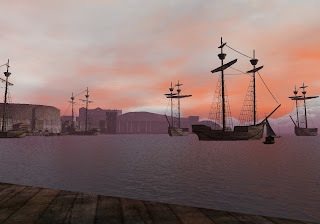 Nevertheless, when they announced at Fan Faire that EQ2's Freeport was going to get a makeover of it's own I was sanguine. I didn't feel the fear like Wilhelm. As you can see from my rather smug comment on TAGN's blog there, I had " a lot more confidence in the EQ2 team to do a better job". Well, soon we will see how well-placed that confidence was. Breakfast on the terrace at The Blood Haze Inn. My problem is that all the things listed as negatives about the current Freeport in the interview with Timothy "Hoahmaru" Heydelaar (of whose existence I was previously unaware. I don't think he posts on the forums much) are strong positives for me. They are the very things that have led me to base almost all my characters in Freeport over the last six years. I love the down-at-heel Mediterranean port ambience. I love the "pale and desaturated" palette and the "broken stucco and plaster". I have three characters living in the inn in West Freeport that 's being rezoned "to be more military focused with training grounds taking up the area where the bar and inn were". If anyone's been to Malta they'll know just how convincing Freeport is. 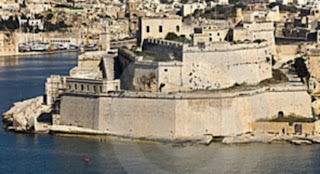 The capital of Malta, Valetta, is a harbor fortress built by the Knights of St. John and it's about as close a real-world analog of Lucan's Freeport as you could hope to find. Architecturally, that is. It's not the fag end of a corrupt empire, peopled by talking rats and eight-foot tall ogres, true, but then you can't have everything. 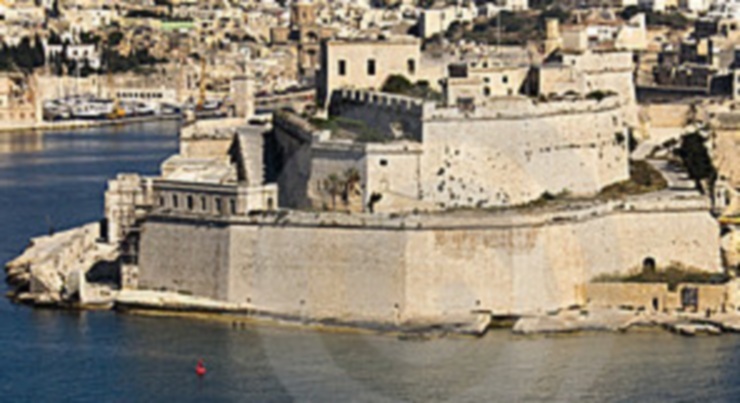 Valetta, blurred. I blame Cisk. The new Freeport will have plenty of bling, we're told. They've "added a lot of rich golds to replace the rusty metals throughout and replaced a lot of brick with pattern work". I'm sure it's very tasteful, but don't we already have one city out of the Arabian Nights? Oh well. At least SoE have had the decency to add an in-game "FRAPS" style video facility before they begin tearing down the house. I'm off to make my own nostalgia documentary before it's too late.